Christmas books bring joy, tears, love and cheer! They are great to read with family and friends, but did you know they are fun to decorate with too? Here are some of our favorite Christmas books to read and decorate with, plus a few suggestions from some of my blogger friends. Christmas books range from funny to sweet. Some are classics, some are modern and a few may be ones that you have never heard of. But there is one thing I can honestly share is that they have become a family tradition to read during the holidays in our home. So let’s see how many books you have heard of and maybe even read in your home too. This post contains affiliate links, which means I receive a commission if you purchase, at no cost to you, using the links below. All opinions are all my own. 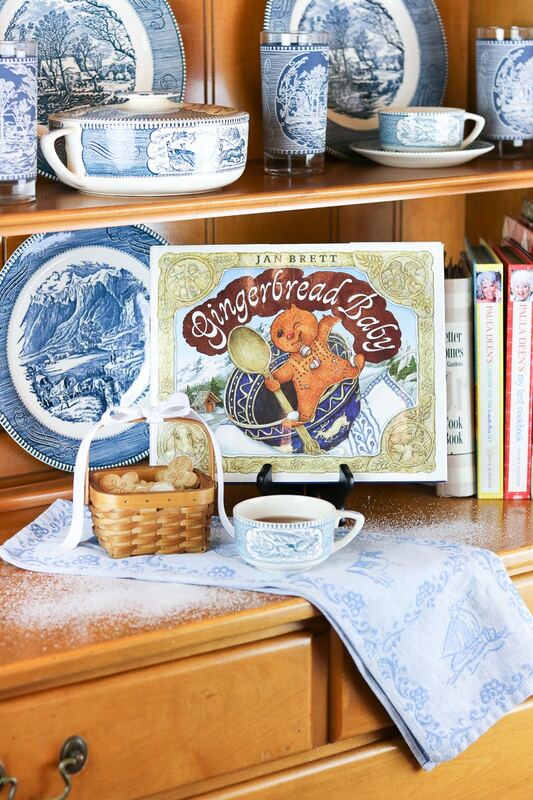 Reading these treasures every year with family is so much fun, but did you know that you can decorate with them too? Let’s start with some favorites and then I will share a few ideas on how to decorate with them. 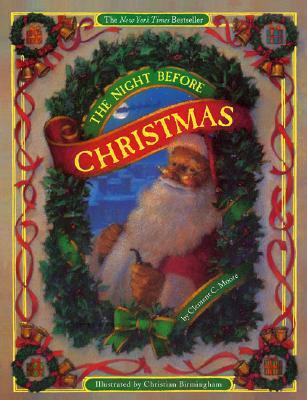 Let’s start with a classic – The Night Before Christmas. This timeless and beautiful book is about that magical night when children around the world await gifts filled with warmth and love. 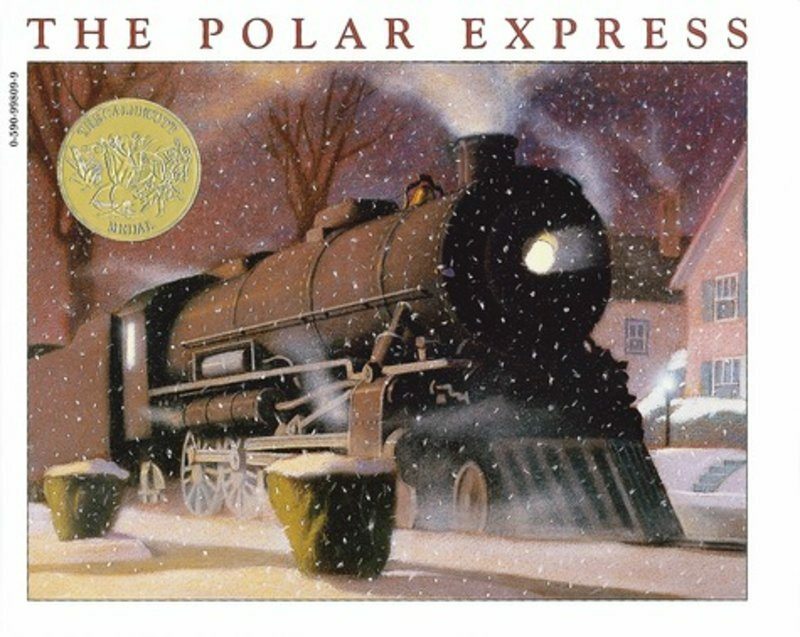 The Polar Express is beautifully illustrated but it is the story that will touch your heart. A boy who no longer believes in Santa Clause boards the Polar Express to eventually find the magic of Christmas again. The illustrations in this book are my favorite of all! 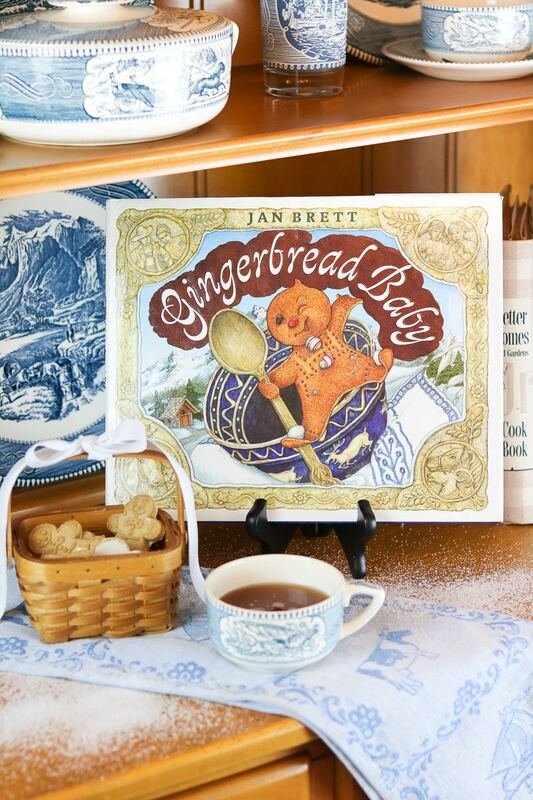 Jan Brett has included many cute stories to read and the magical drawings inside will make you smile. 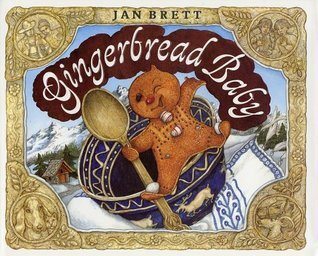 This story is about a little boy who takes a peek too early and encounters a gingerbread baby who happens to be quite a handful! After many animals and the whole town try to catch him you will never believe who ends up nabbing him. You will have to read more to see for yourself. 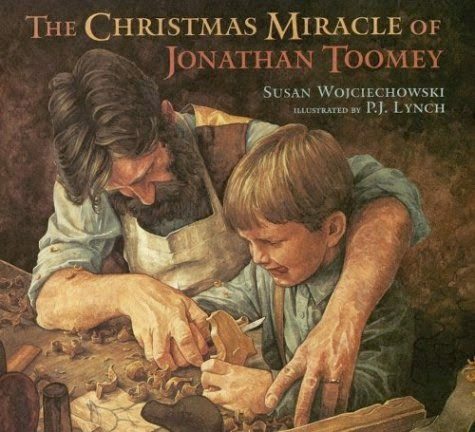 Now let’s look at some books that tell what Christmas is really all about. 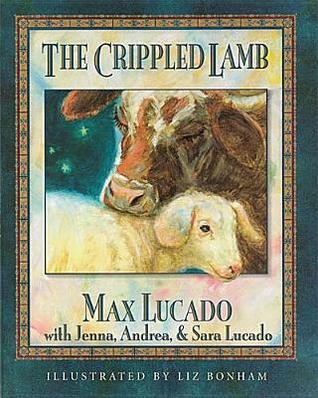 The Crippled Lamb is a great story about a lamb who wishes he could do what all the other lambs do. But because of his disability, he just happens to be in the right place at the right time to help someone very very special–baby Jesus! This book is about love and patience and finding joy again. It’s about a man whose heart is heavy and comes to finds joy through a little boy, his mom, and carving a nativity. What a strange but beautiful way to teach about the true meaning of Christmas. 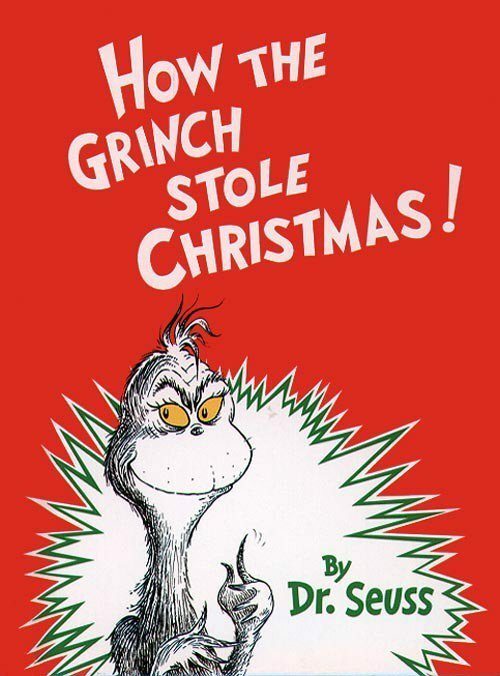 The Grinch is a miserable miserly character who takes joy, or so he thinks, in destroying the Whoville’s Christmas. But this Christmas something happens to the Grinch that will transform his tiny little heart! This is one of my husbands favorite Christmas television shows so I couldn’t leave out this book. 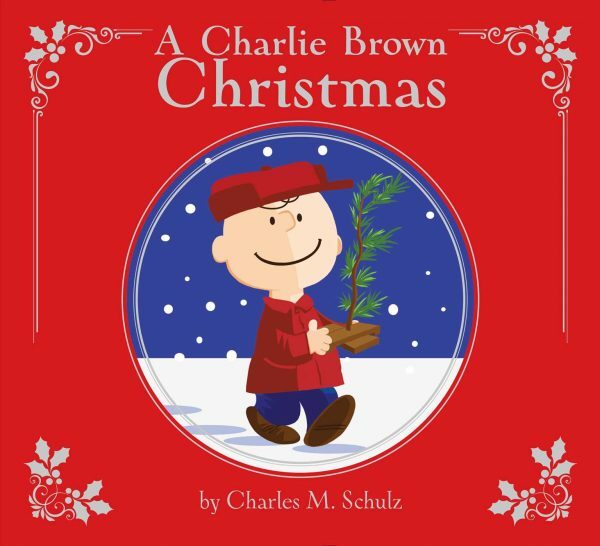 Charlie Brown, so discouraged by all the materialism of Christmas is chosen to direct the school Christmas play. You have to see what happens at the end. It will touch your heart and change your holiday focus. 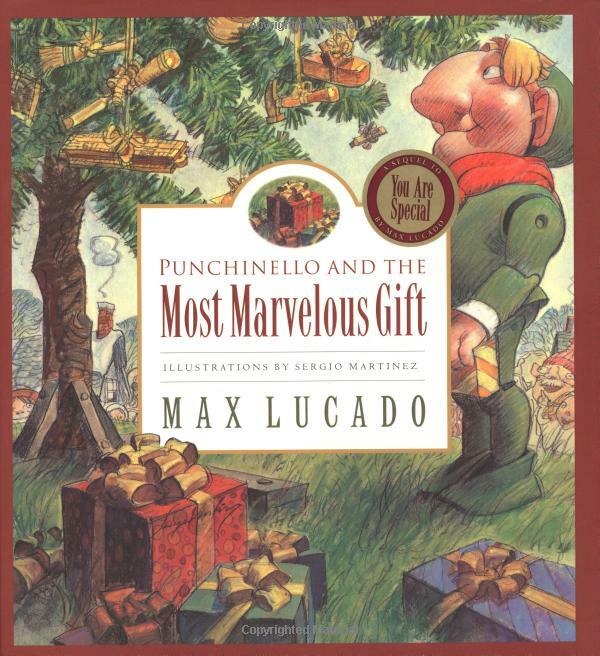 This story will take you on a journey with Punchinello, as he searches for the best gift ever for Eli at the Makers Day Festival. Follow along on his quest to find out what is the best gift of all. 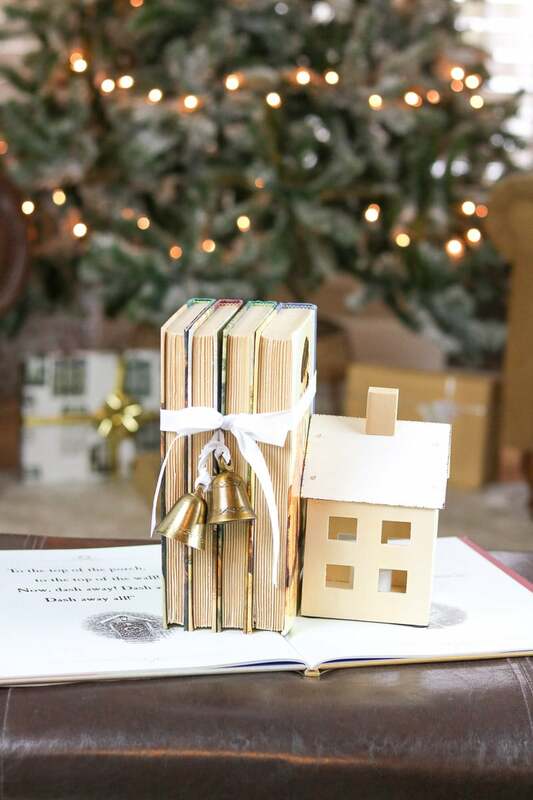 Now that you have a list of Christmas books that are beautiful to look at and meaningful to read, here are some ways you can decorate with them. 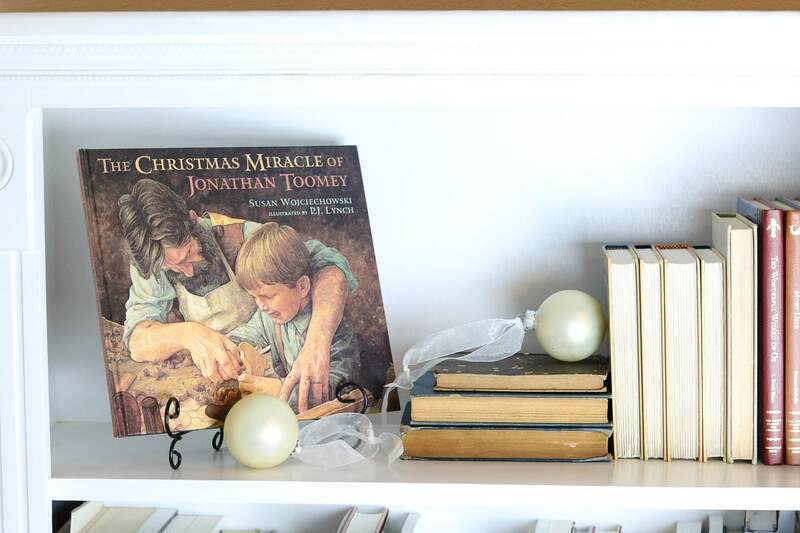 I love decorating with books anytime, so how much fun it is to change things up with your Christmas books too! 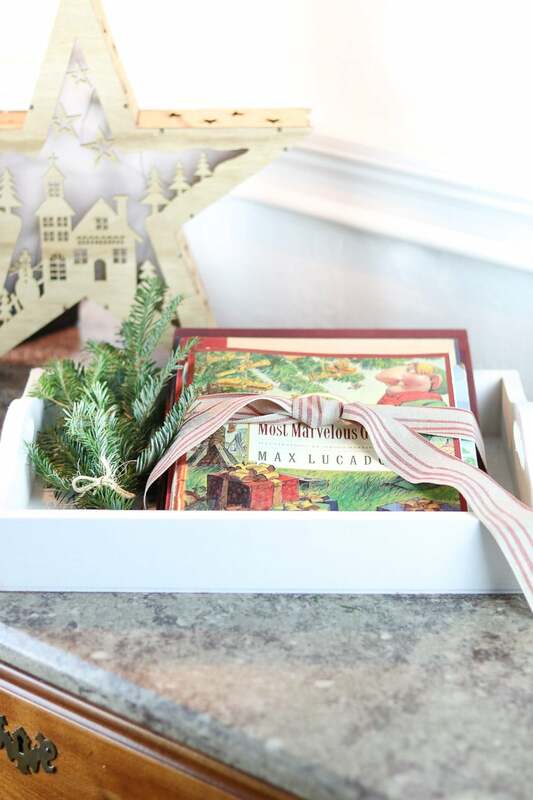 These ideas will allow you to leave your books out all holiday season so it is convenient and easy to grab one and curl up on the couch with your loved ones to read. 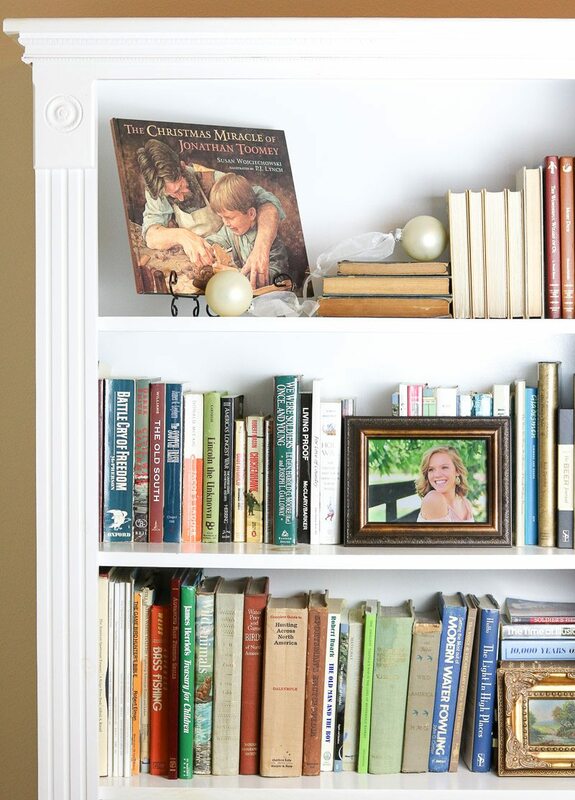 One place you can always display holiday books is your bookcase. In this instance, I removed a family photo and displayed one of our books that I thought worked in nicely with the color scheme of this shelf. Then I added some simple old ball ornament to give it a little more character. Simple and easy! Here is a larger view of the bookcase so you have more perspective. Also, notice that I turned around some of the books on the top shelf. I felt that the monocromatic colors allow the Christmas book to stand out more and the texture was a nice change for the whole shelf. Our Advent Book is probably the most special Christmas book of all except for the Bible. 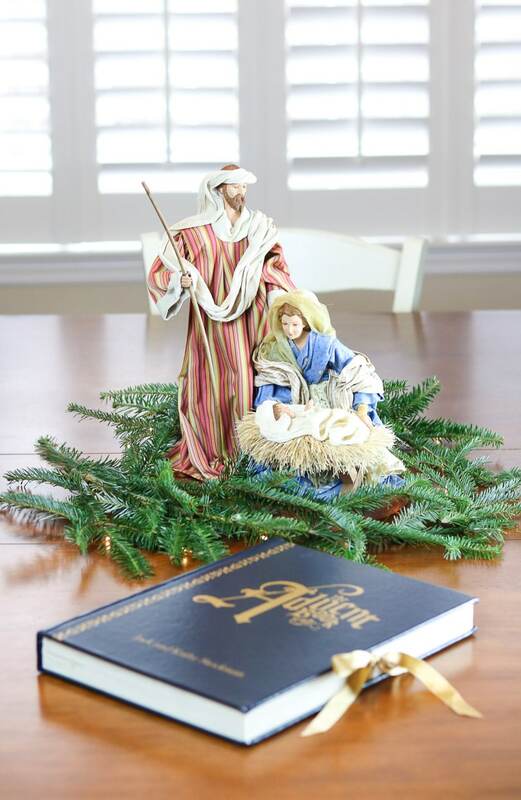 A great place to decorate with this book is near your Nativity. In our case, our Nativity is on our table in the living room. When you have a book this pretty it can sit on a table or even a coffee table as decoration. Just when you are headed down the hall in our home you will find this chest. I thought it would be fun to add a tray with the remaining books all tied together some ribbon and garnished with Christmas tree branches. The branches are tied with some twine to add a little character. Coffee tables are great places to display books! This idea can work on a coffee table, ottoman or sofa table. Take a larger size book, in this case, I used a large print book, then add some classic hardback books tied together with white ribbon and adorned with some bells. Then simply add a wooden house to the side and you have the perfect ensemble decorations. Well, I think we have covered most of the main areas in our home for decorating with books. I hope you have enjoyed coming for a visit and I really hope you have gotten some ideas. Most everyone has at least one Christmas book laying around, so consider doing something different this year and decorate with your books for fun. Here is a list of possible items you will need to create your own Christmas book decorating. Thanks for coming and joining us here at Life on Summerhill and Merry Christmas! !